Whether you are enjoying a late night bag of microwave popcorn or a morning glass of orange juice, MircroFridges will allow you to safely and conveniently make it happen. 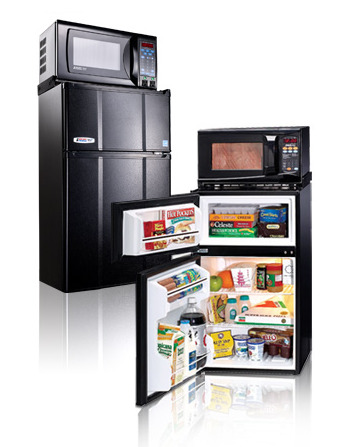 We offer units with a freezer and fridge as well as combo units that also include an attached microwave. More information available here. To place your order by phone or for any customer service questions, please call 1-800-637-7567.